Training for retail employees can be especially challenging. Employees are often located at different sites, and you can’t just close up a store for the day to train everyone in today’s economic climate. In-person training is unrealistic, yet shipping out a manual for employees to take home is not very effective. Online training is the solution. When you use Mindflash to create your training, there’s no learning curve and you don’t need to hire a programmer to get professional results. You can create the entire program with the office software you use every day. Simply create your material, including slideshows, videos, and handouts and upload them to Mindflash. We’ll convert those files to a web-based format, in minutes! Once you’ve created your Mindflash training course, one click is all it takes to make it available to employees. Wherever there’s an internet connection, your employees can complete their training at any time, in any place. And because it runs in a common web browser, employees don’t need any special skills to be able to use it. 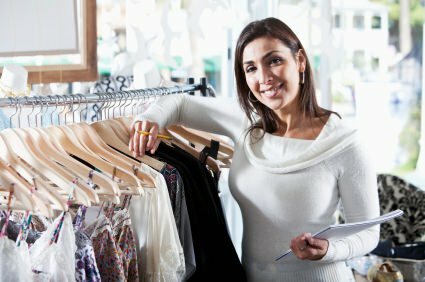 When you train employees online, training doesn’t have to hurt your stores’ ability to meet sales goals. Employees can log in and train when it makes the most sense – on days when the store is typically not busy or at times when customer traffic is low. It’s a good way to use your slow time efficiently and to get ready for the holiday rush! Online training is effective, and you can prove it! An effective training program needs to be able to prove that employees learned what they needed to learn. Mindflash online training makes it easy for you to verify that your employees understood and can recall the course content with integrated quizzes that you create yourself. Whether you add a quiz at the end of your course, or place multiple quizzes at specific section breaks, you can use quizzes to track employee progress and understanding. You can even view progress reports in real time. And if you want to gather feedback on your course, Mindflash also lets you create and incorporate surveys.